ruthdelacruz | Travel and Lifestyle Blog : Zest Air Flew Us to Kota Kinabalu! Zest Air Flew Us to Kota Kinabalu! Oh hello, yes, I am back! 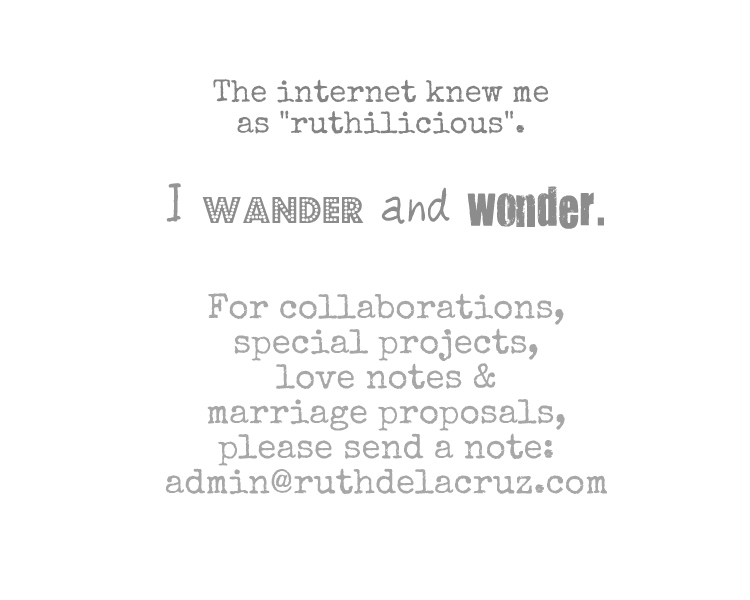 Back to Manila, back to work, back to reality. We always say "back to reality" with a pinch of sadness. But now I am saying that with enthusiasm, because I am sooo happy about my recent weekend trip. Reality gave me a chance to go to Kota Kinabalu! As you have seen in my updates, last blog post, and probably in my Facebook, I had been to Kota Kinabalu for a 3 days, 2 nights familiarization trip. Zest Air invited bloggers to be part of its Maiden/Inaugural Flight from Manila to Kota Kinabalu and I am happy to be part of the pool. So how did flying from Manila to Kota Kinabalu become possible?! 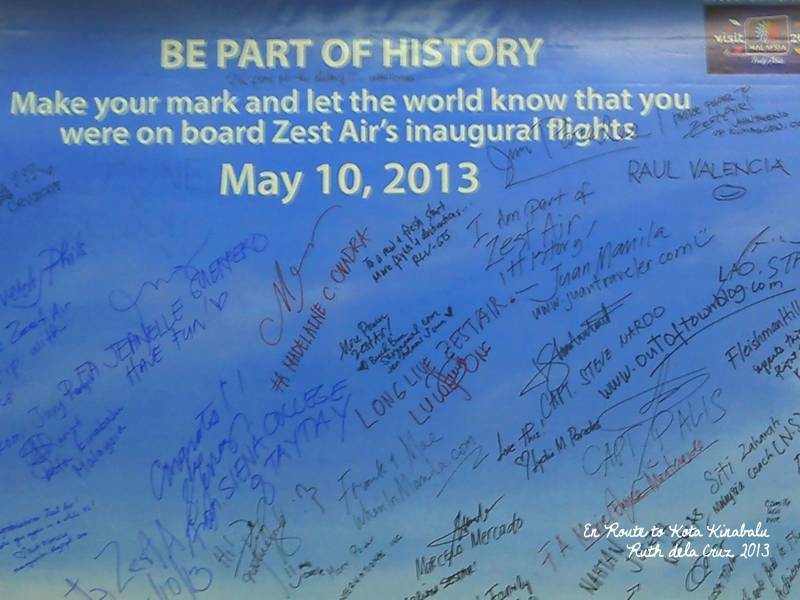 Well, Zest Air has a strategic partnership with Air Asia. 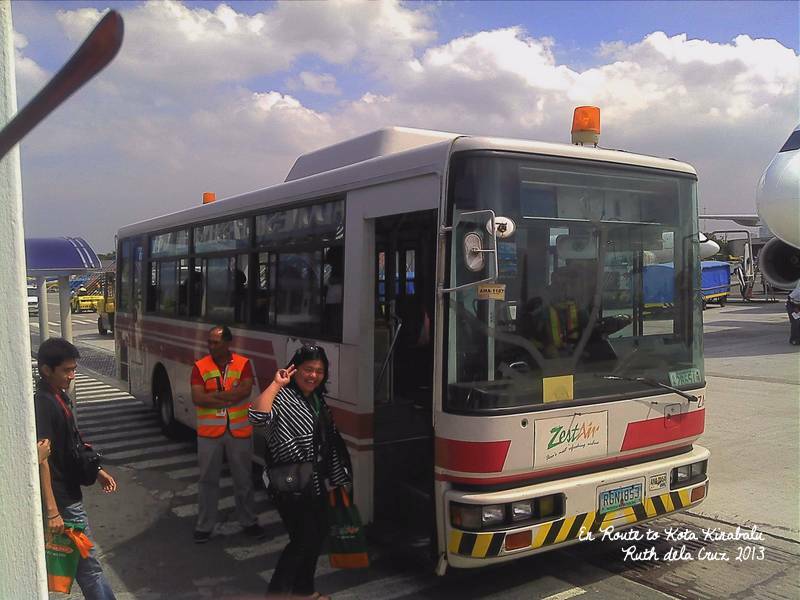 It was also the same day the first flight to Manila to Kuala Lumpur was marked. I know most would think twice in flying to Sabah where Kota Kinabalu is. My mom was also even worried. I assured her that we were not being sent there to serve as Reserved Officers, it was even the Malaysia Tourism Board which invited us to come over and explore its beautiful city. I honestly didn't know how I managed to work the night before the flight (even attended another event) and to pack all my stuff - as usual, I brought a lot. 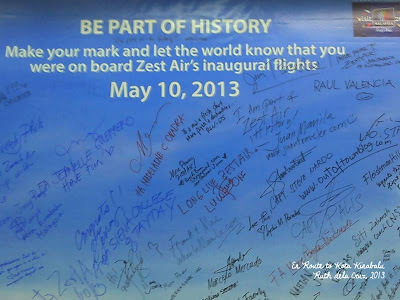 Click Read More to read the start of this great adventure..
Zest Air Flights (both Domestic and International) are housed in the NAIA Terminal 4 which is the old Domestic Terminal. Check this post to know more about the flight schedule. Before we even boarded the plane, we were greeted with more balloons, smiles and wingding.. 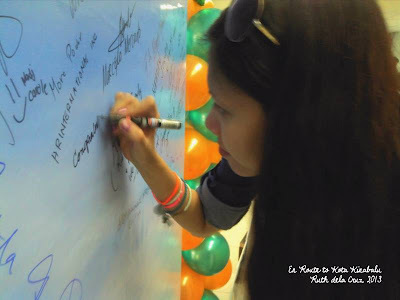 There was even a tarpaulin where guests can sign..
Of course I left something in there.. and I am now part of the history! I saw some familiar signatures and names. The camera clicked endlessly. The waiting area was full of excitement. If waiting time would always feel like this, I wouldn't mind delayed flights. We thought we would only fly through a really small plane, but I felt safer when I saw the plane - it looks mint and well-maintained. The FA's did their thing while I count the number of hours before we could land to Kota Kinabalu. 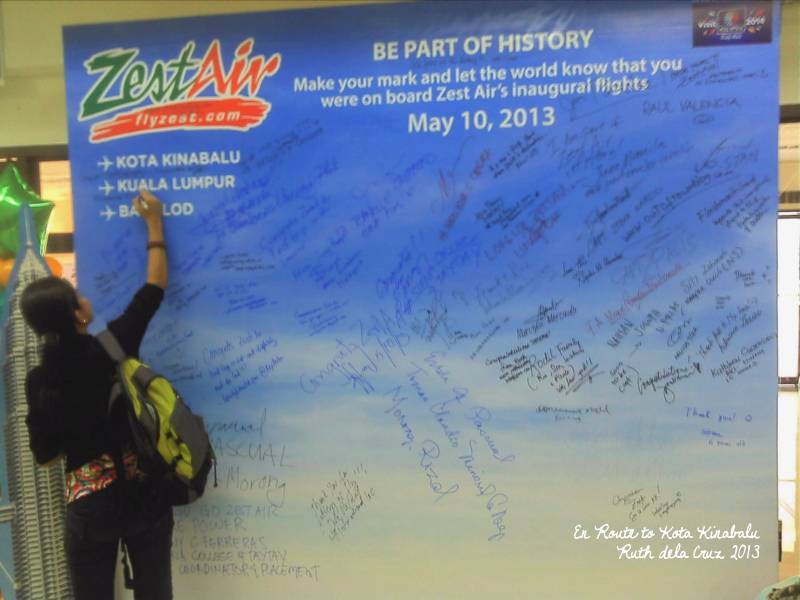 To make the flight more fun, Zest Air awarded a prize to the first flyer who booked the flight from Manila to Kota Kinabalu! Congratulations! and played like kids moving seats. 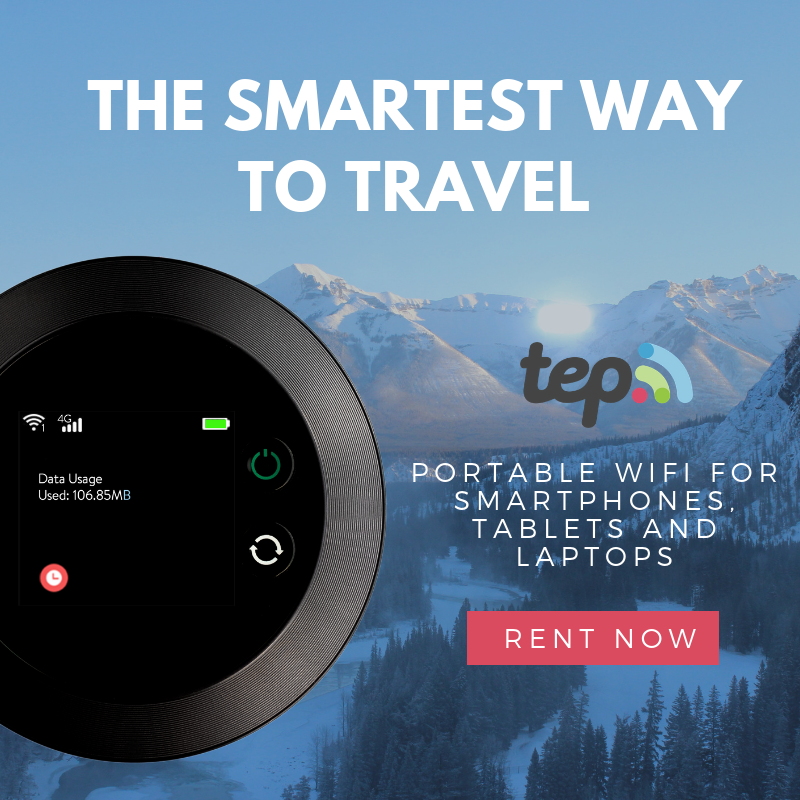 Now look at me, trying to play the part of the Travel Blogger.. 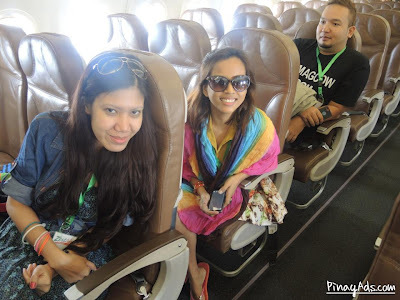 The flight from Manila to Kota Kinabalu is a smooth 2-hour flight. Here's Kota Kinabalu from the top! I notice that the land is full of trees and houses are mostly built for expansion near the sea. I was already dreaming of the sun, sand and the sea, when the seat-belt light turned on and the captain announced that we were getting ready for touchdown. We landed safely and smoothly. 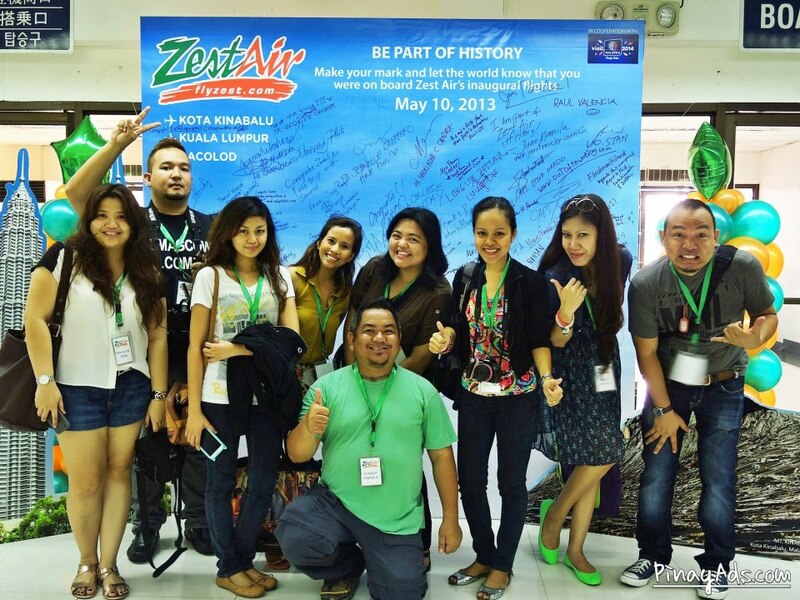 Thank you Zest Air for bringing us safe to this wonderful place. When the plane doors had opened, this is the sight that greeted us.. I love their smiles and warm welcome! 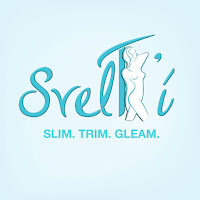 They are open about pictures and they stayed professional. Their colorful costumes so much remind me of what we have in the Philippines - but it was the intricate beadwork and use of vivid colors that caught me. to greet us on our local language makes me feel most welcomed. We couldn't just let go of the plane.. I have more stories to tell you. I experienced so many new things and discovered alot about Kota Kinabalu and Malaysia that I may not probably know just by reading or watching. One thing is for sure, Sabah is such a beautiful, peaceful and safe place. To give you a little teaser, here's the video that greeted us on every tube that we have seen - restaurant, hotel and even in the ferryboat. 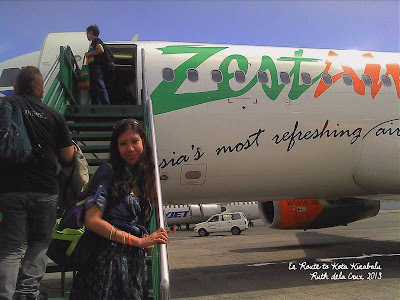 © ruthdelacruz | Travel and Lifestyle Blog : Zest Air Flew Us to Kota Kinabalu!